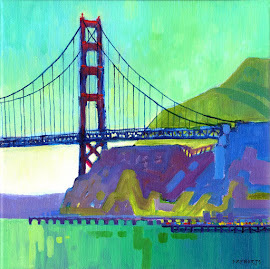 Painted this during the 3rd Annual Benicia Plein Air Paint-Out. 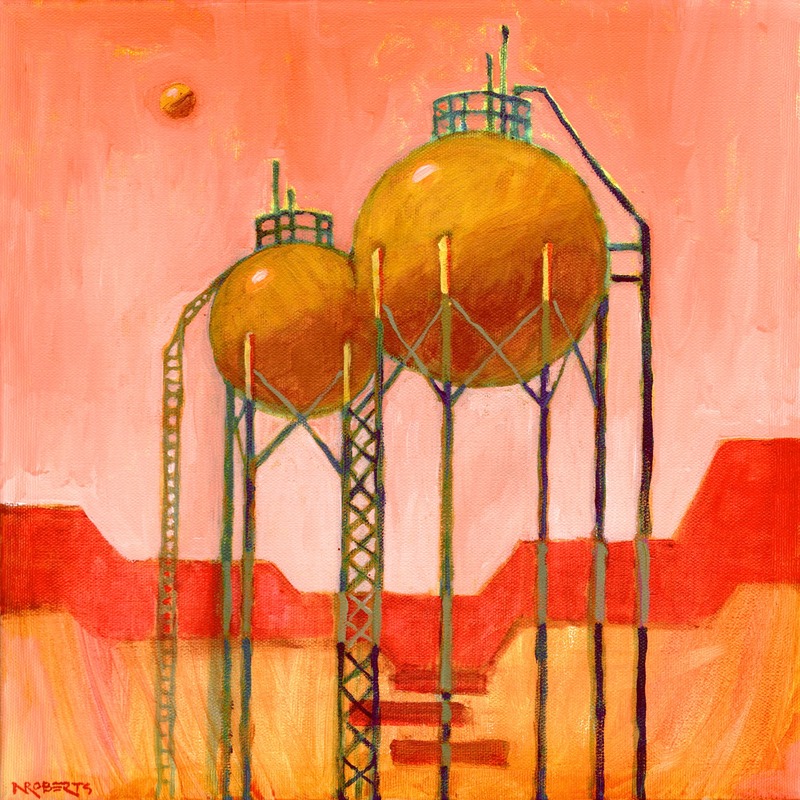 While most of the artists chose to paint along Benicia's scenic shoreline, I travelled to the outskirts of town where the oil refinery's tanks, smokestacks and pipes create an eerie, sci-fi landscape. 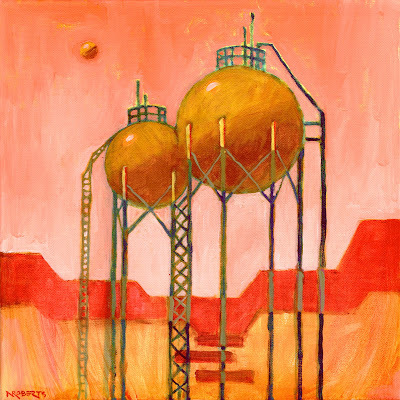 In a fit of whimsy I decided to give these massive spherical tanks tall, spindly legs, and one of them can be seen escaping into the sky in the distance. And here's a very nice follow-up! "Valero" received the First Place Award for August, 2018 in the Daily Paintworks monthly competition! Started this at Fort Baker painting with fellow artist Judith Kunzle. Buffeted by gale-force winds, it was all we could do to keep our easels from tumbling into the bay. I confess to adding the lines of those thin, straight cables in the shelter of my cozy studio! Update: This painting is now available at the Benicia Plein Air Gallery in Benicia, California. Mt. 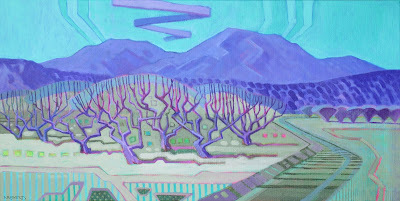 Diablo frames a peaceful day in Brentwood's beautiful orchard country. 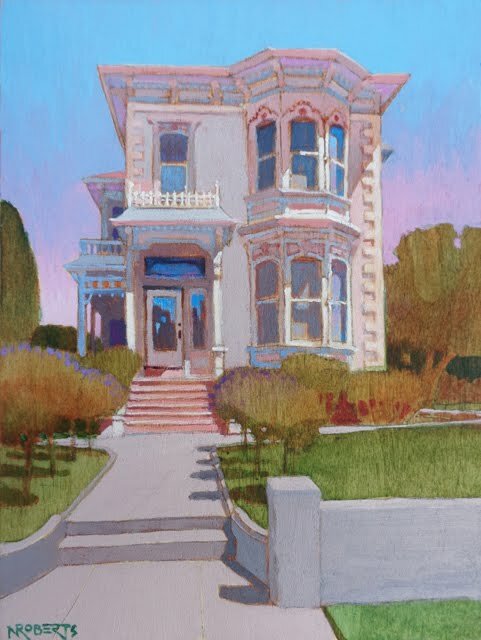 This painting is part of the Suburban Sketchers Plein Air exhibit at Delta Gallery in Brentwood, CA through September 29. 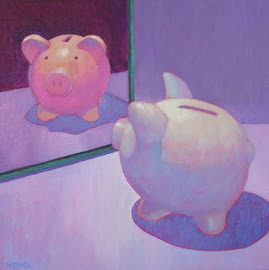 Learn more at Delta Gallery. Smoke from nearby wildfires draped Mt. Diablo in an eerie haze on this hot August day. 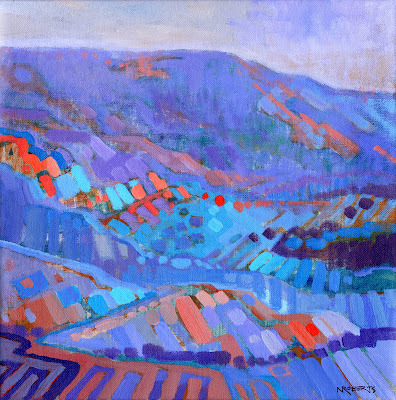 Terrain and chaparral blended together in a mysterious, velveteen patchwork. 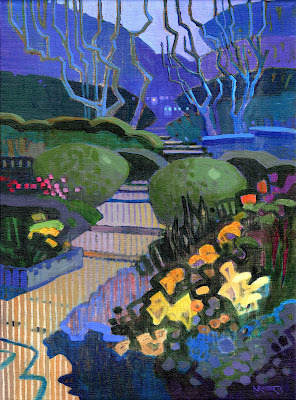 Painted with friends a few days ago at the lovely Blake Garden in Kensington, California. Joy!